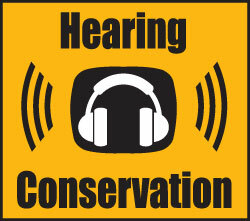 Protect the health and safety of your workers through a sound hearing conservation program. At Custom Protect Ear we care about your hearing health and the responsibility of teaching and practicing good hearing health. So to do so, we have provided you with some hearing conservation programs tips which may help you when creating your own. This is the seventh edition of CSA Z94.2, Hearing protection devices – Performance, selection, care, and use. It supersedes previous editions published in 2002, 1994, 1984, 1979, 1974, and 1965. This edition expands on performance requirements and the rating schemes that might help the user select hearing protection devices. It now includes the widely used noise reduction rating (NRR) and an applicable derating scheme. This edition no longer includes physical performance and related testing requirements (such performance is no longer sought by Canadian users). It addresses acoustical performance measurements and includes revisions in the packaging marking requirements to clarify the use of the various ratings. This new version of the standard meshes more closely with US approaches, recognizing the reality of how closely our two economies are entwined and provides more guidance to health and safety professionals needing reliable information on how to select hearing protection. It should become the new standard for due diligence in selecting and using hearing protection in Canada. What is a Hearing Conservation Program? An effective occupational HCP preserves and protects the hearing of employees who work in manufacturing, farms, mines, military bases and other noisy workplaces. An HCP also gives employees the knowledge they need to protect themselves from nonoccupational noise exposure. The mission of the NHCA is to prevent hearing loss due to noise and other environmental factors in all sectors of society. NIOSH provides national and world leadership to prevent work-related illness, injury, disability, and death by gathering information, conducting scientific research, and translating the knowledge gained into products and services, including scientific information products, training videos, and recommendations for improving safety and health in the workplace. HEARING CONSERVATION TOOLBOX– A resource for hearing conservation professionals, audiologists and occupational safety professionals for various educational and training materials to use in the workplace. HEARING CONSERVATION PROGRAM CHECKLIST – A simple checklist of questions to assess hearing conservation efforts. An effective hearing loss protection program will cost you both time and money. Is it worth it? You bet! NIOSH researchers initiated a new effort to collect data published by manufacturers of hearing protectors. dB Blockers™ are custom fit to each individual wearer for maximum comfort and are made from SkinsoftT medical silicone. dB Blockers™ are particularly suited for industrial applications where communication between individuals is desired. Miscommunication triggers accidents. With dB Com™, you can avoid mishaps and dangerous situations, and eliminate any chance of misunderstandings on the floor. Our wide selection of hearing protectors connects to numerous communication devices, so your workers can hear and be heard while staying completely protected. FitCheck Solo™ helps take the guess work out of matching the correct hearing protection with known noise exposure. It’s the only system that can test the actual plug a person is wearing without having having them first remove them. That’s what makes it the most accurate system currently available. Hearing Conservation. OSHA Publication PDF. Summarizes the required component of OSHA’s hearing conservation program for general industry. Covers monitoring, audiometric testing, hearing protectors, training, and record keeping requirements. Hearing Protection-Emerging Trends: Individual Fit Testing PDF. (2008, August). This best practice document provides information on fit-testing of hearing protectors. Toolbox Talks: Hearing Conservation in the Shipbuilding Industry PDF (2009, April). The toolbox talk addresses a number of hearing conservation-related topics, including shipbuilding noise levels and selecting hearing protection. The toolbox talks also include a hearing protection checklist for workers in shipyard employment. Earlog 19 – Tips for Fitting Hearing Protectors (110K pdf) This EARLog1 is intended to assist in improving the hearing protector fitting and dispensing skills of hearing conservationists. Acrobat Reader is required to view pdf files. Free download if needed.